Men, join us on Palomar Mountain for a weekend of discipleship, fellowship, and worship. CrossFit, in the world of health and fitness, is defined as: a high-intensity fitness program incorporating elements from several sports and types of exercise. Several "elements and sports" that produce optimum physical health. According to Donald Whitney spiritual disciplines are defined as “those personal and corporate disciplines that promote spiritual growth. They are the habits of devotion and experiential Christianity that have been practiced by the people of God since biblical times.” Like CrossFit, the spiritual disciplines consist of many disciplines like: prayer, Bible intake, worship, solitude, silence, fasting, fellowship, etc. just to name a few. At the upcoming men’s retreat we will pursue spiritual fitness by seeking to get CrossFit. We will look at various disciplines and their role in developing spiritual health, maturity, and growth in Christ-likeness. We will look at their role in Discipleship. Significant growth in discipleship is not possible apart from the spiritual disciplines. CrossFit also reminds us that all spiritual growth ultimately flows from the finished work of Jesus on the cross for us. Are you ready to get Cross Fit? There is an additional fee for some activities (see schedule). Financial assistance is available. Some limited funds are available through the church to defray the cost for those men who need assistance. If you need assistance, please let us know-we can work with you. Contact Paul McFadden for the details pmcfadden0013@gmail.com. This year, the event is one night (Friday). Costs for a room is $119 per person for motel-style semi-private accommodations (4 people per room), $89 per person for dorm-style accommodations, and $49 for Saturday only. This includes dinner on Friday evening, and three meals on Saturday. We will have three meetings with one on Friday night and two Saturday. Please pay this at the time that you register—in any event, before the retreat. Because space is limited, please be advised that we cannot consider your place on the retreat secured until payment has been received (or arranged for with financial assistance). The best way to register and pay is online. If necessary, you can pay with cash or with a check. If you write a check, make it out to “New Life Presbyterian Church” and write “Men’s Retreat” in the memo section (lower left portion of the check). Please be advised that, as the planning committee understands things, your retreat costs are NOT tax-deductible as donations to the church. Payments are best made during registration periods running through the month of February. Look for a signup table during the fellowship time. If you are not able to sign up and make payment in person on one of the Sundays, please use the above links to register online or please contact pmcfadden0013@gmail.com or Edwin Tungol to make arrangements for payment. Some activities are offered at a small additional cost. More recreation details will be provided soon. 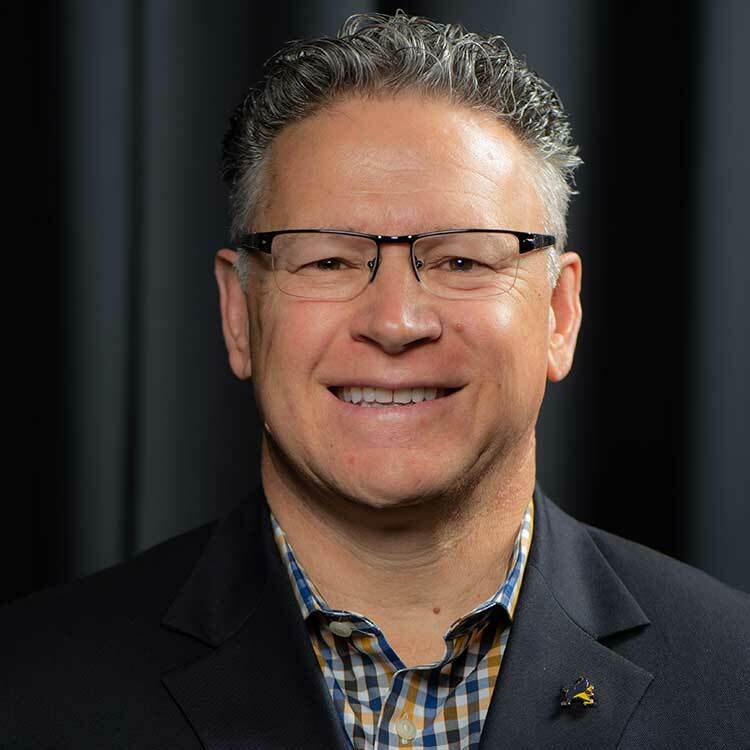 Russ Kapusinski is an ordained minister in the Presbyterian Church of America (PCA) and for the past three decades has served in several leadership posts in vocational ministry ranging from churches, parachurch ministries, and Christian schools. He holds a B.A. in Speech Communications from North Park University in Chicago and a Master’s Degree in Divinity from Reformed Theological Seminary. Mr. Kapusinski Currently serves on staff at Harbor Church, San Diego and as the Assistant Head of School at The Cambridge School, where his 3 children attend. The retreat will be held at Palomar Christian Conference Center. You can see details on the camp’s website. We especially recommend that you check out their website for a list of activities and driving directions. The camp tells us that it is CRITICAL that you use the directions on their website, NOT Mapquest, GPS, or other web-based guides. They warn that you will get lost if their directions are not followed. If you are driving, please make special note of this. We will also be distributing hard copies of the directions at the registration table on Sunday mornings. If you are arriving on Friday evening, please show up between 4pm and 6pm if you’d like to eat dinner at the facility. If you need a ride and aren’t able to arrange one with someone else who is going, please contact Paul McFadden for suggestions. If you are arriving on Saturday, please arrive by 7:30am for breakfast at the mess hall. Men are allowed to bring 12 gauge shotguns, but rifles are restricted to the .22LR gauge. Camp provides rifles and shotguns for you mercenaries. New Life will provide clays for the shotguns. IT IS OK for you to bring your own clay pigeons and ammo. If you have questions, contact Paul McFadden: pmcfadden0013@gmail.com.